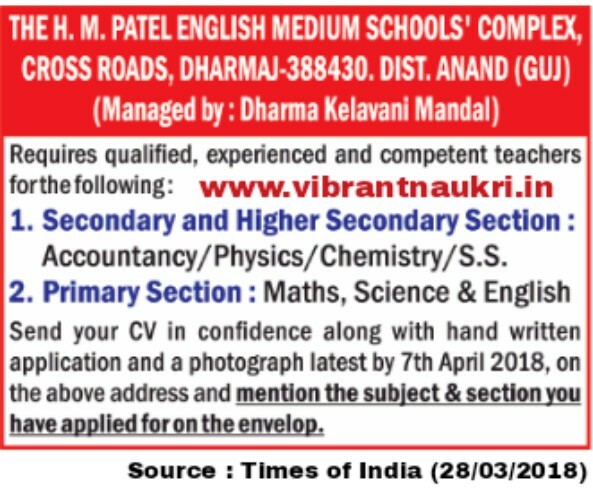 THE H. M. PATEL ENGLISH MEDIUM SCHOOLS' COMPLEX CROSS ROADS, DHARMAJ-388430. 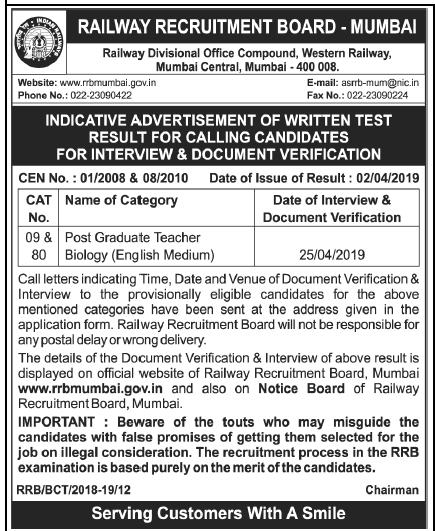 DIST.ANAND (GUJ) (Managed by : Dharmaj Kelavani Mandal) has published Requires qualified, experienced and competent teachers for the following Subjects. More information please read below mentioned details carefully. How to Apply : Send your CV in confidence along with hand written application and a photograph latest by 7th April 2018, on the above address and mention the subject & section you have applied for on the envelop.